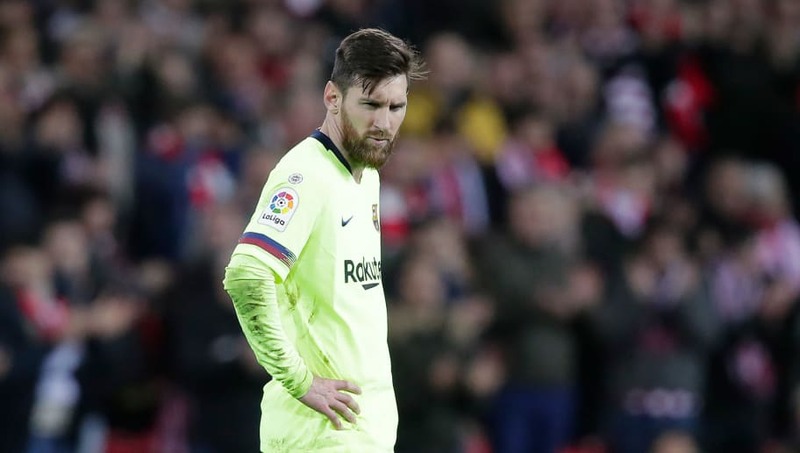 ​Despite dropping crucial points against Athletic Bilbao after Sunday's 0-0 draw, Barcelona boss Ernesto Valverde refused to be concerned, pointing to a 'long' La Liga season in which they sit six points clear at the top of the table. A win would have seen Barcelona move eight points clear ahead of nearest rivals Real Madrid in the league, but they had goalkeeper Marc-Andre ter Stegen to thank for a series of excellent saves to earn La Blaugrana a point in the Basque country. Speaking in his press conference after the match, Valverde urged reporters to look at the ​La Liga table and see that despite failing to secure all three points, his team still lead the pack at the league's summit. "We leave this matchday as we entered it, ahead," he said, via ​Marca. "If my maths is accurate then we'll still be ahead even after the next matchday. This league is a long process and we must keep fighting until the end." Messi returned to the starting lineup following his recent injury layoff, and Valverde was eager to dispel any rumours that the Argentinian was not fully fit to feature on Sunday. "He's at one hundred percent, he played that way," he added. "Leo is fine. We've had problems with him, but if he's played then it's because he was totally ready to." Finally, given opportunities to stake a regular claim in the side, ​Arturo Vidal and Phillipe Coutinho started at the San Mames Stadium, yet failed to impress, with the ​Barcelona boss quick to defend the duo. "When you get a draw and you think you should have won, then it's a matter for the whole team, not just one or two players," he added. "Every player is with us and part of this team. When I make changes, I don't single anybody out."